From Airport-Exit the airport drive turning right on Sir Donald Bradman Drive. Before reaching the city, turn left onto South Road. At Grand Junction Road, turn right and follow the signs at a five-way intersection (adjacent to Gepps Cross Hotel) turning half-left onto Main North Road signposted toward the Barossa. Continue past Elizabeth and Munno Para and bypass Gawler following Sturt Highway (the A20) toward the Barossa Valley. Exit at Nuriootpa, turning right and then 500m ahead follow The Louise sign turning right onto Stonewell Road. At the crossing with Seppeltsfield Road, turn right. The Louise is at the top of the first hill on the left. From Tanunda-Exit Tanunda on Murray Street toward Nuriootpa. At Chateau Dorien, turn left onto Seppeltsfield Road. The Louise is ahead 3km on the left. Surrounded by hundreds of acres of vines overlooking the world renowned Barossa Valley, The Louise is just one hour from Adelaide. Fifteen luxuriously appointed suites, each with its own terrace, offer complete privacy and stunning views over the adjacent vineyards. The look is soft contemporary, with inspired design and artworks a focus in every suite. Integral to a stay at The Louise is dining nightly at Appellation, widely acknowledged as one of Australia’s finest regional restaurants. Additional amenities include an infinity edge lap pool and sun-deck, games courts of boules, croquet and over-sized chess as well as a Fitness Centre and sauna. Appellation's wine bar and terrace offers the perfect place for a cocktail overlooking the sunset. The Barossa is truly one of the world’s great wine producing regions, The Louise staff have excellent local knowledge about premium Barossa wineries, exclusive private tastings and touring options offering a very personal connection to the Barossa people, experience and lifestyle. 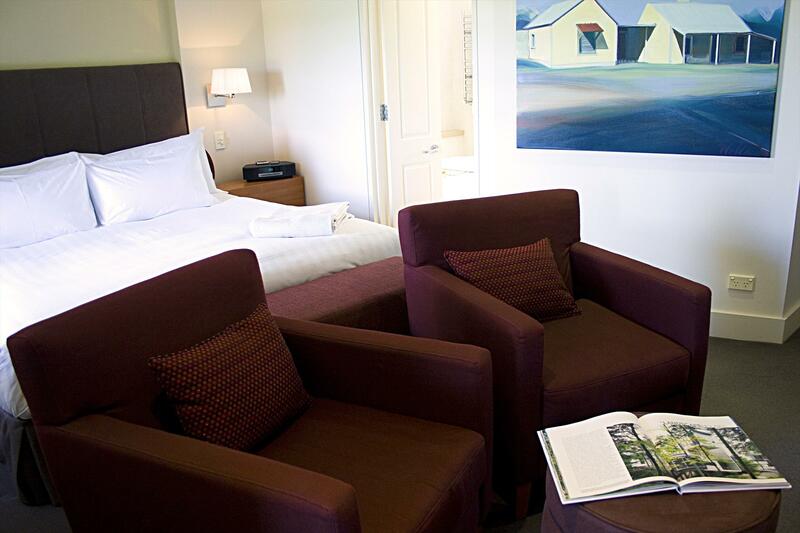 The Louise is a member of Relais and Chateaux and Luxury Lodges of Australia. Australian Gourmet Traveller - Top 50 Hotels in Australia 2014 and 2015. Andrew Harper Grand Award Winner 2012- The Louise one of 19 Hideaways of the Year. 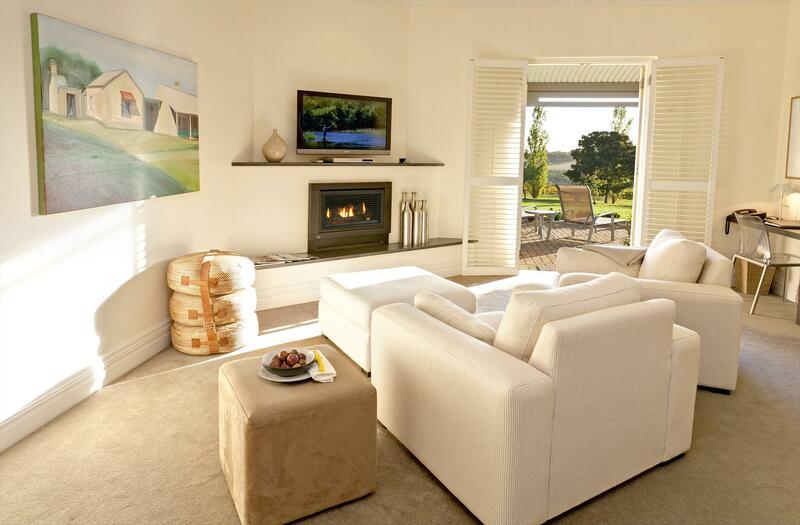 The 185 sqm* (about 2000 sqft) two-bedroom version of the Seppeltsfield Suite offers two luxurious bedrooms, each with a private ensuite, and a shared lounge room, perfect for families, two couples travelling together or a group of up to four close friends exploring the Barossa wine country. All of our suites, regardless of type, include a wide array of premium features and amenities such as king beds with crisp linens, flat screen TV with DVD players, BOSE sound system, writing desks with complimentary wired and wireless internet access, a fully-stocked mini-bar (charged on consumption), a large fully-tiled ensuite bathroom with spa tubs for two, walk-in rain showers, towel rail heaters, separate toilet area, dual hand basins, also a walk-in robe area with luggage store and breakfast tables both inside and outside. 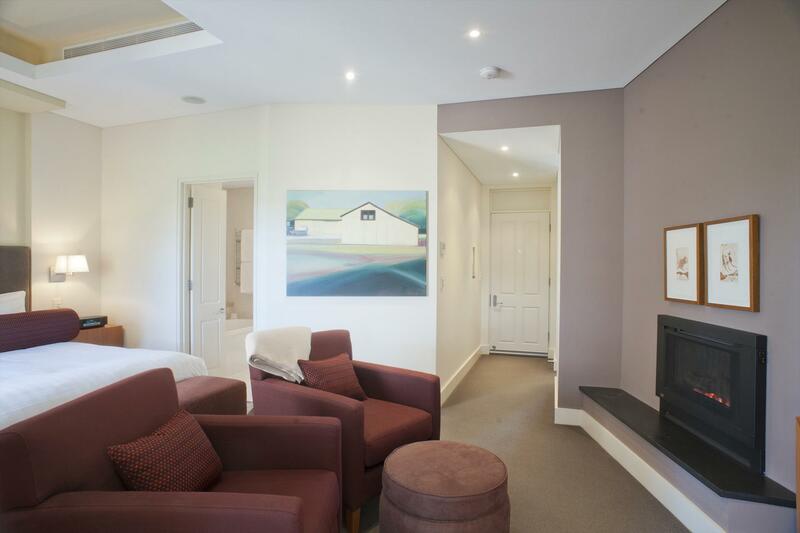 Enjoy glorious sunset views from your private terrace, gas log fireplaces as well as a large lounge room, king bed, deluxe linens, spacious marbled ensuite and your very own outdoor private rainshower, make your stay with us the perfect hideaway. Our top range of suites, the 125 sqm* (about 1300 sqft) Seppeltsfield Suites, include all of the amenities and features of both the Vineyard and Stonewell Suites in an even more spacious configuration plus a private water feature, sunning lounges on the vineyard facing terrace, a choice of king or twin single bedding, and further upscale lighting, artworks, fabrics and furnishings. All of our suites, regardless of type, include a wide array of premium features and amenities such as king beds with crisp linens, flat screen TVs with DVD players, BOSE sound system, writing desks with complimentary wired and wireless internet access, a fully-stocked mini-bar and mini-fridge (charged on consumption), a large fully-tiled ensuite bathroom with spa tubs for two, walk-in rain showers, towel rail heaters, separate toilet area, dual hand basins, also a walk-in robe area with luggage store and breakfast tables both inside and outside. 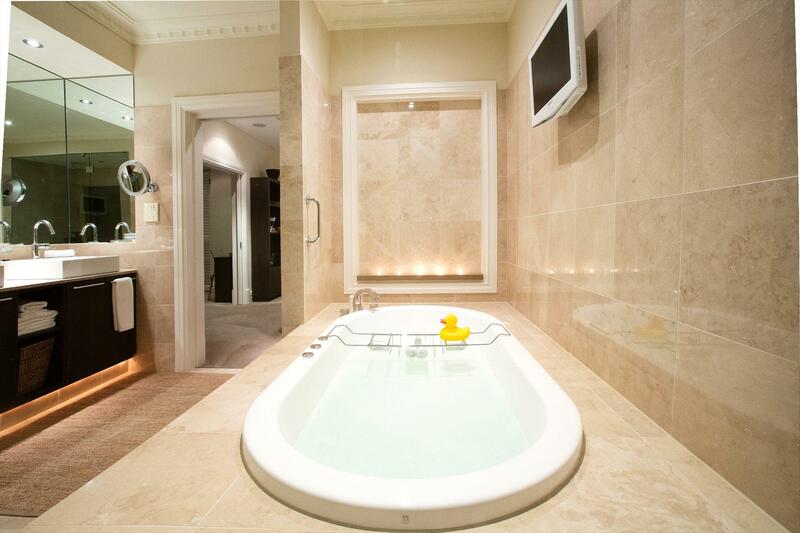 Completely new premium fireplace spa suites with luxurious amenities and artwork . The main guestroom is reached via a large private gated front courtyard. Inside, the king bedded sleeping area is adjacent to a spacious heated floor ensuite with candlelit spa bath for two, LCD TV, dual vanity basins, separate toilet area, double head interior rainshower and additional private outdoor shower. A gas fireplace, large LCD TV and DVD player, BOSE sound system, oversize chairs and footstool complement the sleeping area. Separate spaces for luggage and wardrobe store, writing desk with high speed Internet connection, a mini-bar, espresso maker and dining table complete the interior. French doors open to a private shaded rear terrace with stylish relaxing lounges facing the adjacent vineyard. Completely new spa suites with luxurious amenities and artwork . The main guestroom is reached via a large private gated front courtyard. Inside, the king bedded sleeping area is adjacent to a spacious heated floor ensuite with candlelit spa bath for two, dual vanity basins, separate toilet area and double head interior rainshower. A LCD TV and DVD player, oversize chairs and footstool complement the sleeping area. Separate spaces for luggage and wardrobe store, writing desk with high speed Internet connection, a mini-bar, Nespresso coffee machine and dining table complete the interior. French doors open to a private shaded rear terrace with stylish relaxing lounges facing the adjacent vineyard. All rate plans require a credit card valid through your intended check-out date as a guarantee. Upon confirmation your card will be charged the full amount of your stay with any pre-ordered extras as a deposit. Based on room availability you may amend your booking up to two weeks before arrival for a $55 fee plus any change in applicable rates (using the Best Available Rate) for your new dates of stay. This rate plan does not provide for cancellation and your full deposit will be forfeited if you cancel or no-show. Please note that it is a condition that you and we have confirmed that you have no children in your party under age ten. (The Louise accepts bookings only for children ages ten and over unless you are booking the entire property.) We accept Visa MasterCard American Express and Diners Club credit cards for payment.